baggage before our closing time, you can pick up the next day after 9:00. You will be charged another 500yen for over extending. 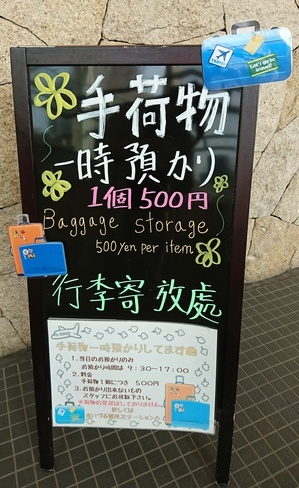 ・Baggage over 250cm (the total of the length, width and depth) and over 30kg. in case you leave unacceptable items. Please sign and fill form at Nishi Maizuru Tourist Information Center.